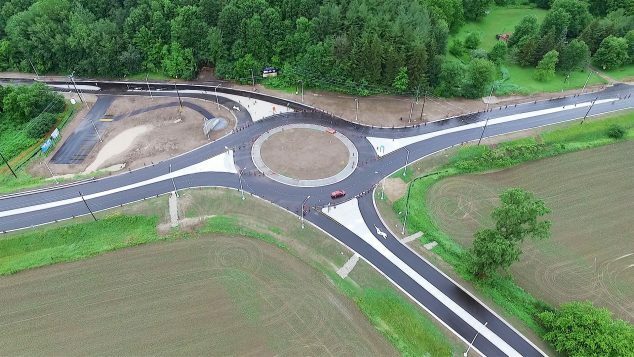 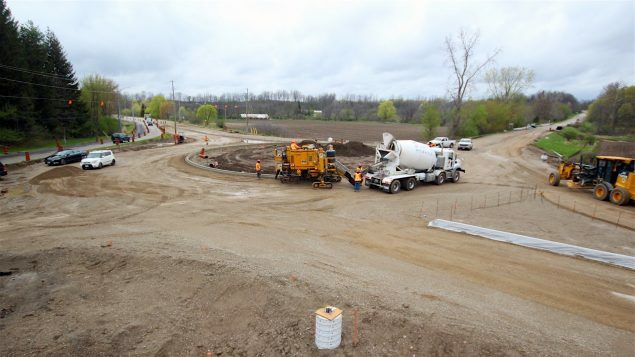 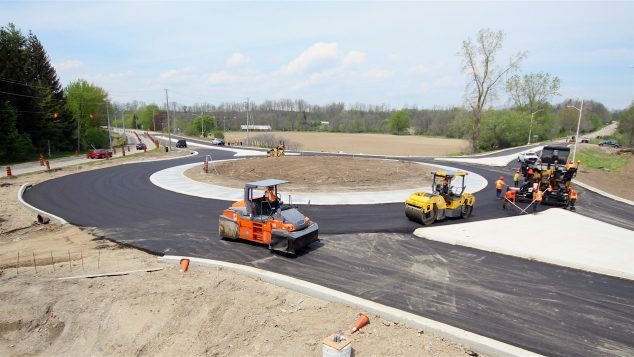 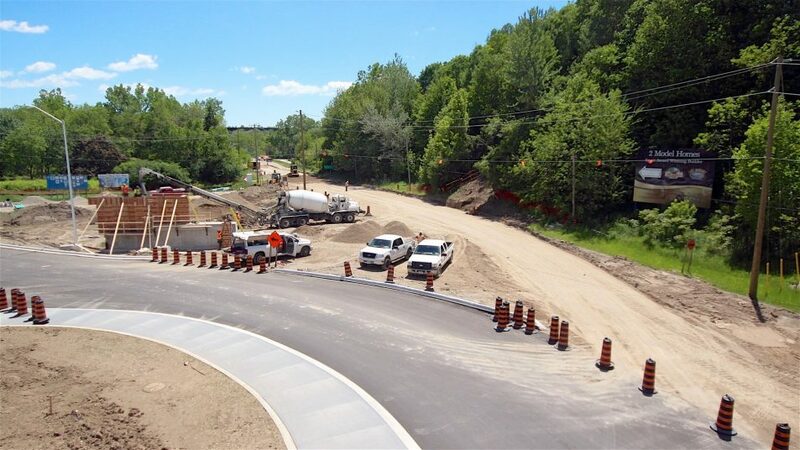 The St. Thomas Gateway project included the removal of the oldest signalized intersection in St. Thomas and replaced it with a new two lane traffic roundabout. 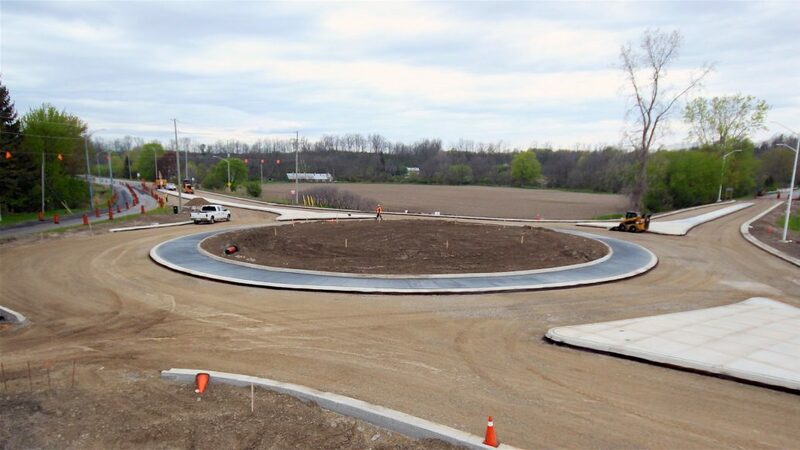 The intersection was in significant need of reconstruction due to the misaligned lane configuration and lack of left turn lanes. 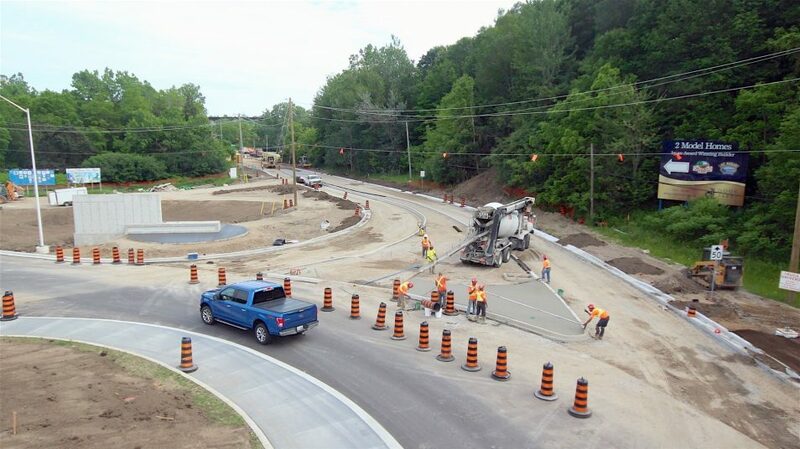 This busy intersection at Wellington Road, Sunset Drive, and Talbot Street is one of the main entry points into the downtown ¬ core of St. Thomas and is therefore called the Gateway Roundabout. 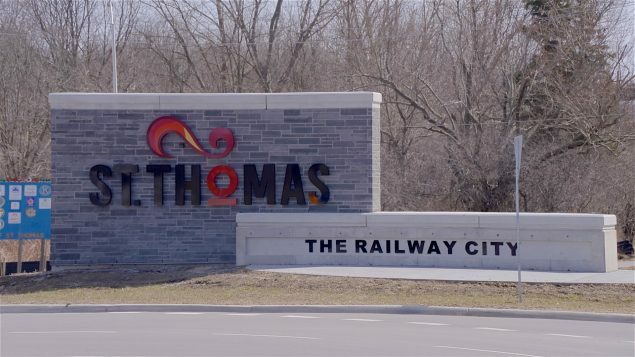 The project also included construction of a decorative structural wall to embrace the City of St. Thomas new welcome sign. 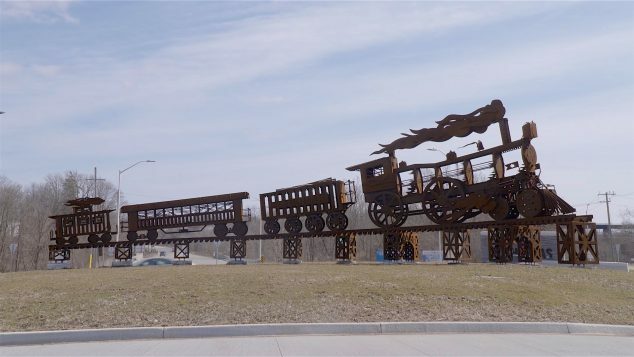 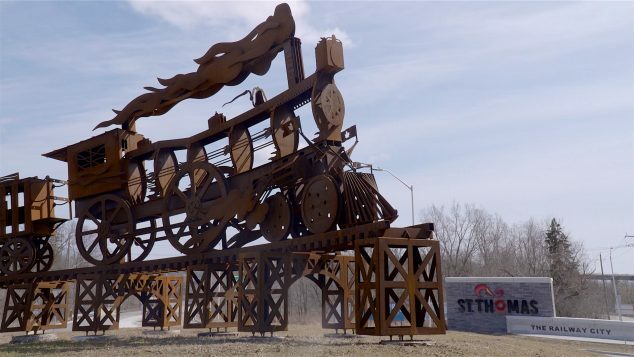 It also included a railway feature as St. Thomas is known as “The Railway City.” The railway feature was added to the island in the center of the roundabout for visual effect. 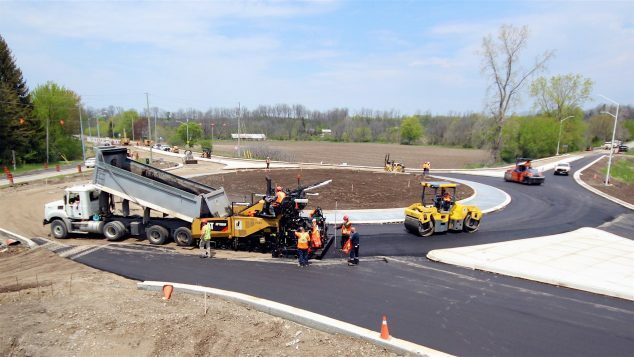 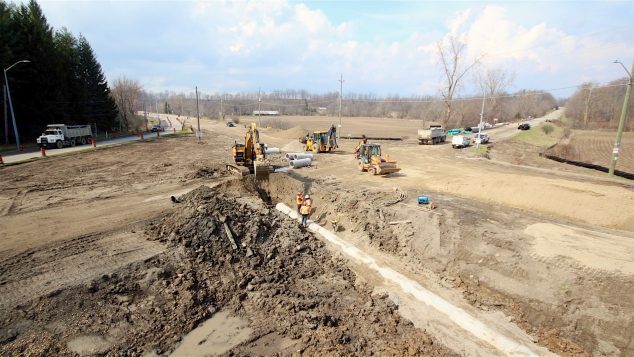 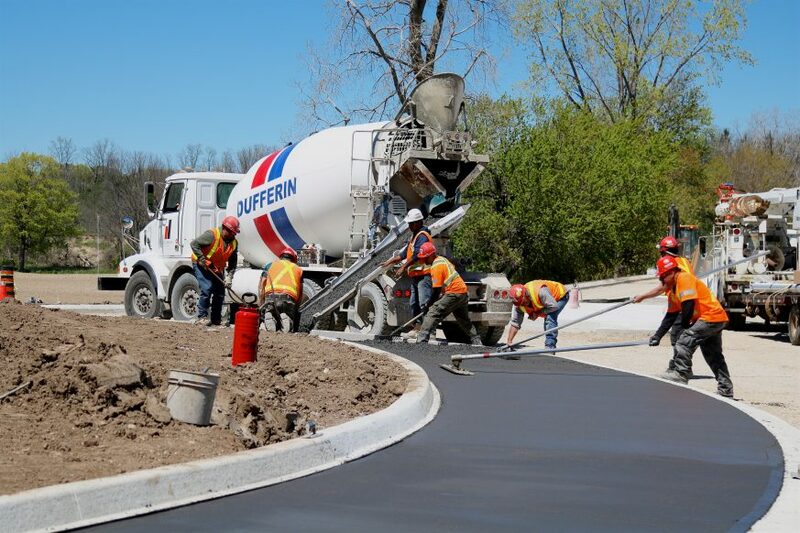 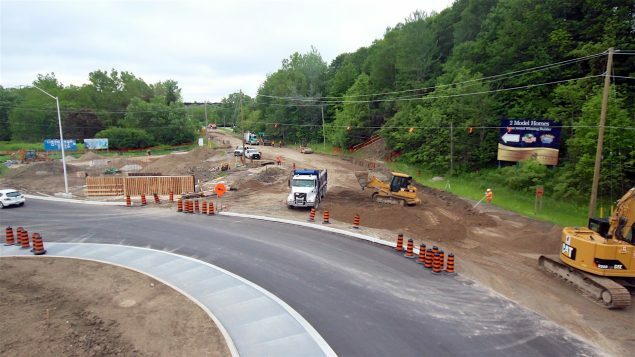 Despite a tight construction schedule, Dufferin Construction completed the project on time and on budget, with zero safety incidents.